I’m originally from Fort Worth, Texas, but I left the state before I really got to chance to explore it. 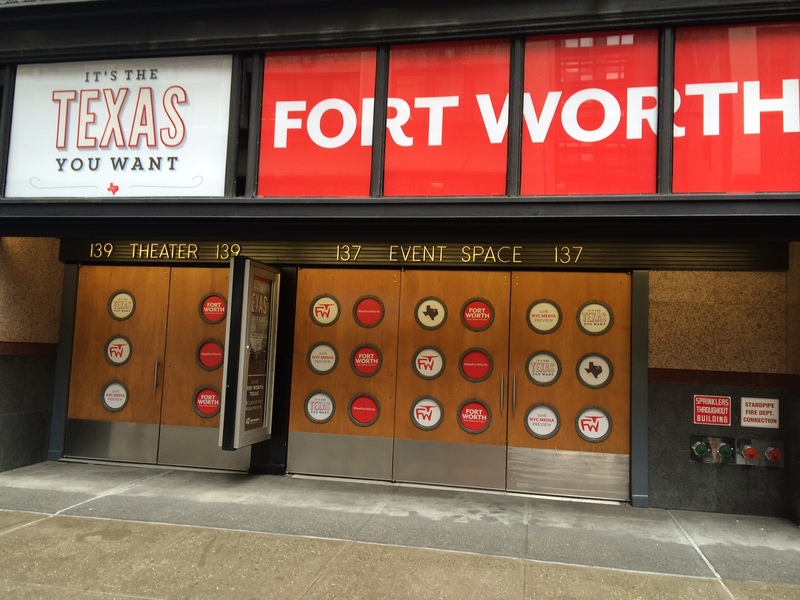 So recently when I got invited to attend a media event put on by Fort Worth CVB, I was excited to learn what was there to see and do in this city. Plus, with hearing what my parents remembered from their time there (as more of a rural area), how much Fort Worth has changed (and boomed). National Cowgirl Museum and Hall of Fame. The ladies of the Western frontier get to shine here, and they’ll have even more room to do so in fall of 2016. Renovations of the museum’s second floor are underway, as part of an extensive plan that kicked off this past May, but you’re still able to visit. There is an art gallery that displays a rotating showing of 100 moving pieces of photos and videos of noted cowgirls – publicly well known or not but still worthy – on view. For example, did you know that the Sandra Day O’Connor, the first female Supreme Court judge, has some nifty ranching credentials under her belt? This museum is located in the Fort Worth Cultural District, where it’s joined alongside other noteworthy art museums and the Fort Worth Museum of Science and History. JFK The Opera. Before JFK’s fateful trip to Dallas, the President and First Lady Jacqueline Kennedy arrived at Texas in Forth Worth. Air Force One landed at Fort Worth Carswell air force base (where my dad was stationed and got to see the plane come in). Now, the Fort Worth Opera is marking this presidential visit through commissioning of a new opera that focuses on one night during Mr. and Mrs. Kennedy’s visit here. JFK The Opera makes its world premiere on April 23, 2016. Trinity River Vision Project. This expansion project involving Texas’ longest river is set to connect various neighborhoods directly to the Trinity River to introduce a recreational/public gathering area. Another neat idea is Panther Island Pavilion, a planned outdoor entertainment venue that will feature a waterfront stage for performances. A sand beach is also to be added to give public access to Trinity River for waterside activities like boating. Near Southside District. Next to the downtown area, this district has been becoming a restaurant row with more than 20 new dining establishments and bars in the past year and a half. Specialty shops are featured as well. There is also a distillery here called TreyMark Black-Eyed Vodka, which is said to hold tastings of their vodka made from black-eyed peas – apparently a first of its kind. Lonesome Dove Reunion and Trail. If you’re a fan of mini-series, you might want to make a trek to Fort Worth next year. Along with a major gala called the Lonesome Dove Reunion featuring cast members like Tommy Lee Jones and Robert Duvall on March 31, 2016, at River Ranch in the Fort Worth Stockyards, the Lonesome Dove Trail features various exhibits at a number of museums on everything from cattle to costumes over the course of the early part of next year. This entry was posted in Delta on October 21, 2015 by She Is Going Places.